Whether you have a single DrayTek router, or you have a number of DrayTek products in your network, managing those devices is key to maintaining the reliable, redundant and secure infrastructure on which your business relies. 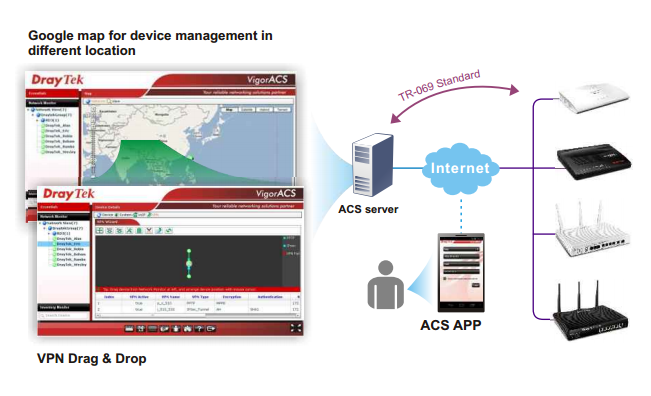 All DrayTek products attached your network can be managed and maintained from the Vigor ACS Management Console. VPN Management of a multi-router network can be a time-consuming task. With many parameters to be synchronized and security associations to be built, a single incorrect settings or invalid parameter can prevent the VPN from establishing correctly. Finding these errors by tracing the settings and logs can be time-consuming and frustrating. Central VPN Management (CVM) on select Vigor models makes it simple to manage VPN connections. VPNs can be setup with just one click. CVM can be used to backup or restore configuration and upgrade firmware on remote routers (CPE) as well. 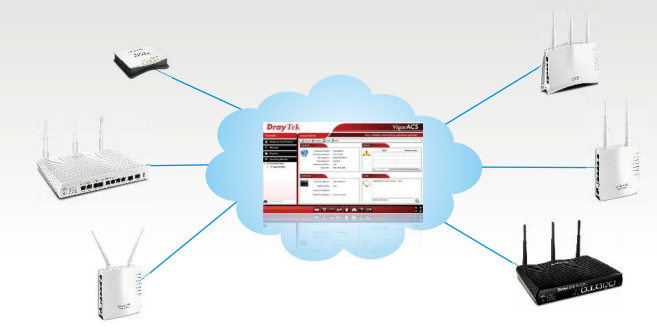 At present, CVM is available on Draytek Vigor models 3900 (16 CPE), 2960 (12 CPE), 2925 (8 CPE) and 2860 (8 CPE). Embedded AP Management (APM) on select Vigor router models allows easy configuration and maintenance of multiple Access Points (up to 20). APM allows Plug-and-Play for APs with the APM router providing DHCP addresses to the APs. 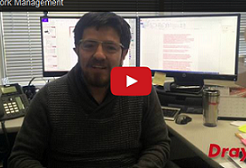 Remote configuration of WiFi parameters of APs can be performed through the APM router. Configuration Backup and Restore, Firmware Upgrade and Remote Reboot can be achieved either manually or as per schedule. Additionally AP Traffic Graphs, AP Load Balance/Sharing, AP Roaming (Pre-authentication and PMK Cache) are also supported.